I love cold weather. Always have, and probably always will. This year, instead of living in oversized sweaters and trackpants, I’m planning a wonderful winter wardrobe full of colourful tights, cute dresses, adorable sweaters and maybe even a coat or two! And since I love looking at pretty things and feeling inspired, I thought I’d share some of the things that have got me feeling creative and stylish lately. First up is this cute houndstooth dress from Sheinside. As soon as I get my hands on some houndstooth fabric, I’m going to use the wonderful Elisalex dress to make myself one just like it! 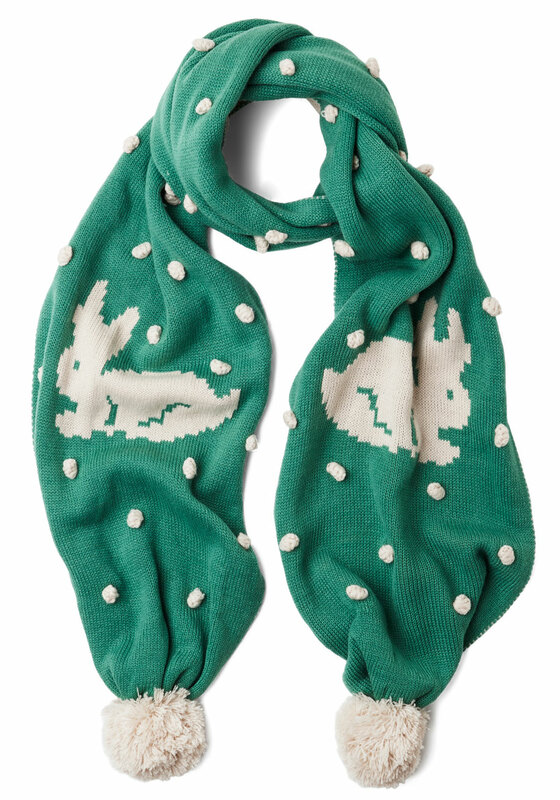 How adorable is this Bunny Trails scarf from Modcloth?! Although I can knit, I think sadly that this is beyond my skill level. Maybe I’ll just have to buy it as a Christmas gift to myself! I love tights, and I’m rather taken with these heart-printed ones from Forever 21. I also long for tights with polka dots, and especially for the cat tattoo tights that have taken the internet by storm lately! 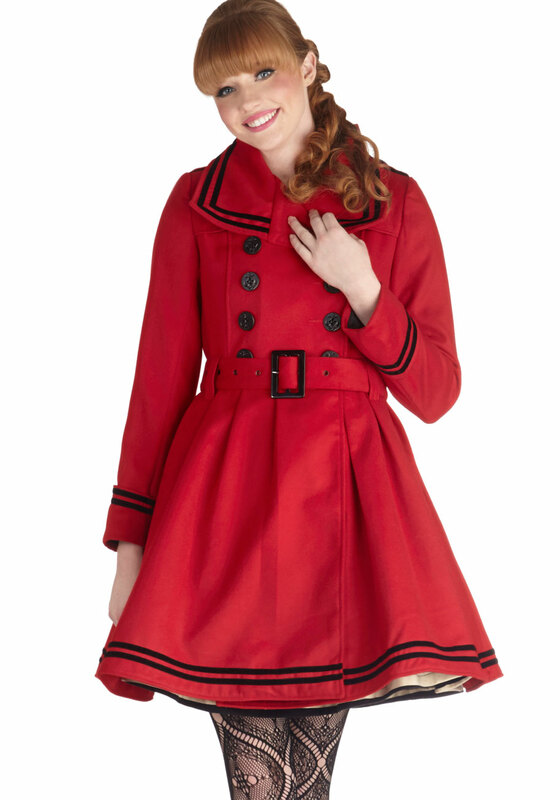 Last but not least, I’ve fallen in love with this coat from Modcloth. I know, I may have a slight Modcloth addiction, but who can blame me? However $160 for a coat is a bit out of my price range, sad to say. But I’ve already got my eye on a similar vintage pattern to try and “frankenpattern” my own, and I feel like this could be my big winter project!